Want to dim the lights in your living room but don’t feel like getting up from the sofa? 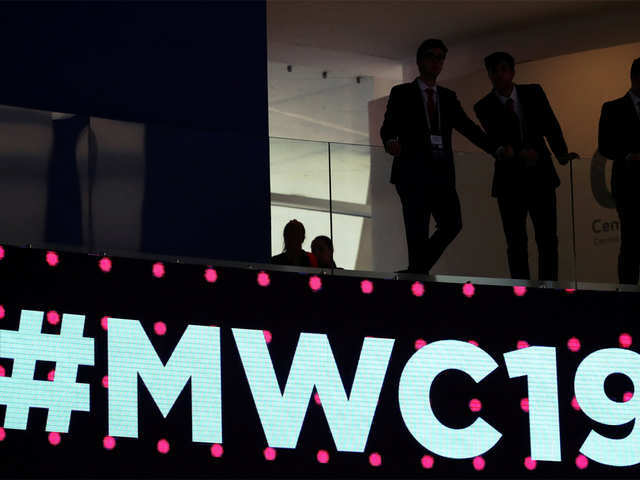 China’s Xiaomi, the world’s fourth-largest smartphone maker, presented a new connected light bulb — the Mi LED Smart Bulb — that lets users control light colour and brightness via an app on their phone or Amazon’s voice-controlled assistant Alexa. 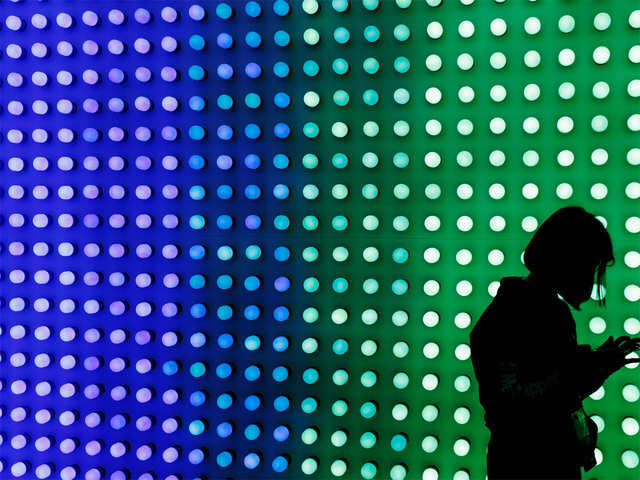 The company said the light bulb offers 16 million colour options. South Korean robotics company Torooc turned heads with its tiny companion robot called Liku which walks and expresses emotions like a human with its large eyes. 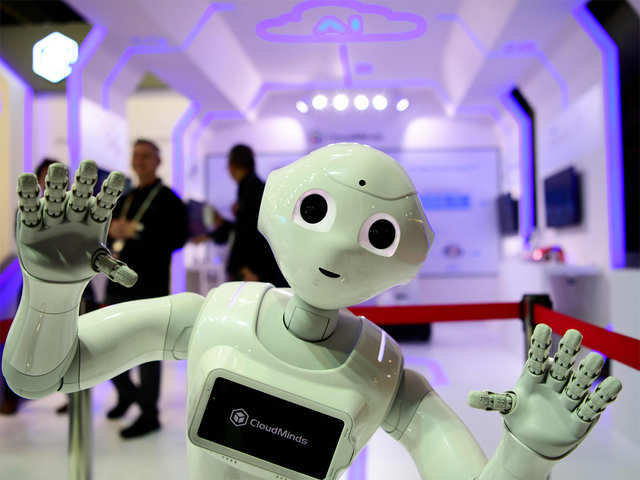 The robot, just 1.5 feet (0.5 metres ) tall and weighing 2.5 pounds (1.1 kilos), has a forehead camera that allows it to pick up on our cues to strike up a rapport. If you walk into a room and greet Liku, it will tilt its head toward you, make eye contact and smile. Its cartoon-like eyes can express “emotions” including surprise, happiness and sadness, or appear to be sleeping. If you point a camera at it, Liku will smile and strike a stylish pose with its arms and legs — even when you take a selfie with it. “We designed LIKU to have an adorable appearance, to elicit positive feelings. When people look at Liku, they smile naturally. We hope Liku will be your first robot friend,” said Torooc chief marketing officer JaeHee Chang. The company plans to start shipping the robot early next year. It is priced at around $2,500 (2,200 euros). Spanish startup Dinbeat presented a harness for dogs dubbed the DinbeatPRO which uses sensors to monitor breathing, body temperature, barking activity level and body position. While there are many activity monitors for pets geared for pet owners, the harness was specifically designed to be used by veterinarians treating hospitalised dogs. “Right now medical devices which were designed for humans, which are much more complicated and have cables, are used and the animal must be sedated to use them,” said Dinbeat project manager Marina Gomez de Tejada. Going on holiday and have no one to look after your cat? 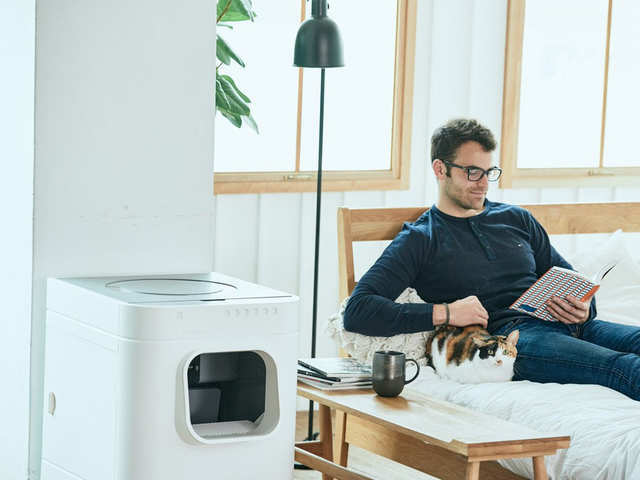 South Korean startup PurrSong displayed an automatic litter box called the LavvieBot which auto-cleans and auto-refills. After your cat does its business inside the machine and has left, LavvieBot noiselessly pushes a rake through the litter before hurling a few handfuls of clean litter in the box. It can even send you text notifications when your cat uses the toilet or when the litter storage or the waste bin is full. “This is clearly marketed towards cat owners who don’t have the time to take care of their cat all the time, or they just want the freedom of not having to clean out the litter box every day,” said PurrSong marketing manager Heaven Nam. 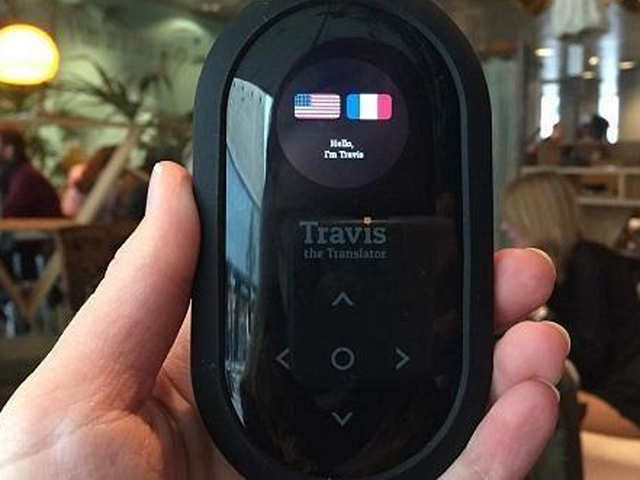 The Netherlands-based startup Travis presented small earbuds that are capable of translating conversations between people speaking different languages in real time. The Artificial Intelligence-powered device synchs to computing in the cloud to translate any combination of 105 languages. You can select the two languages using your voice and then just start to speak. You will hear the translated voice almost immediately via the earbuds.